On the show floor, you’ll find everything from innovations in wireless charging to robots with artificial intelligence. 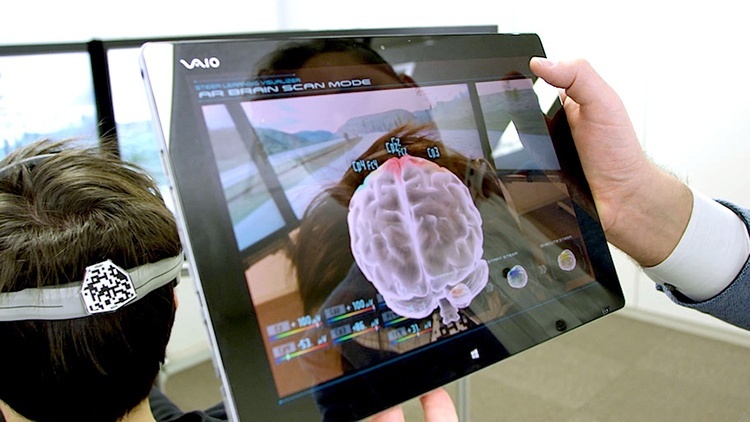 Here the public has a chance to scope out all the awesome new tech that will soon be changing the way we live. 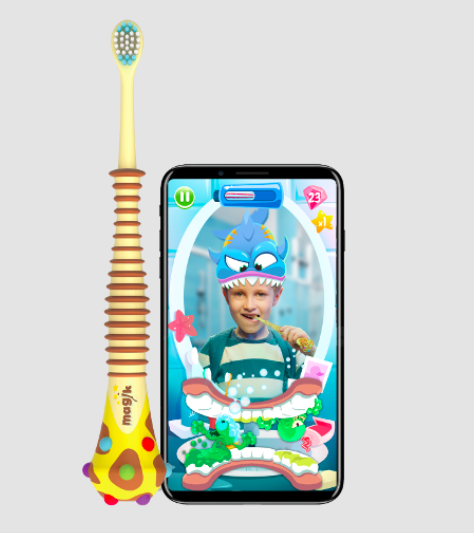 An AR toothbrush from Kolibree. Because God is real & he answers prayers. 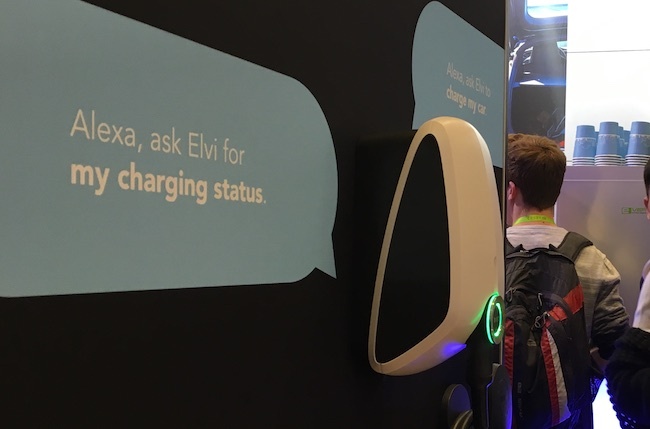 So, of course, EVBox was there, showing off our award-winning new home charging station Elvi, and unveiling our new Level 2 commercial charging station. 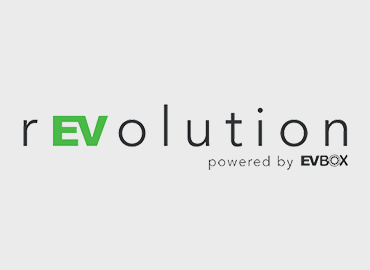 But we weren’t the only ones coming to the show with breakthroughs in EV technology. Here are some of our favorites. Far from an earth-shattering new concept, the term “Hyperloop” has been on the lips of tech bloggers for almost six years. So why is it on the list? Well, from the looks of Hyperloop One’s booth, we’re getting pretty close to this becoming a reality. For those uninitiated, to get a better idea of what makes the Hyperloop special, first imagine your standard subway system. Now take that subway system, cover everything in magnets so the train never actually touches the rails, and put it in a low-pressure tube. This kind of frictionless travel allows for speeds up to 670 mph (1080 km/h) and a completely silent ride. Cool, right? While the initial idea was the brainchild of Elon Musk (shock) back in 2012, a ton of companies are currently working on a version of the Hyperloop, and considering their booth with an actual Hyperloop train car and a functioning app (looking very similar to Lyft), it seems like Virgin Hyperloop One is pulling into the lead. Moving away from cars for a second, many companies are hard at work reimagining the way we get around, and many are moving in the direction of affordable flight as a means of commuting. Hence, the Air Taxi from Bell. 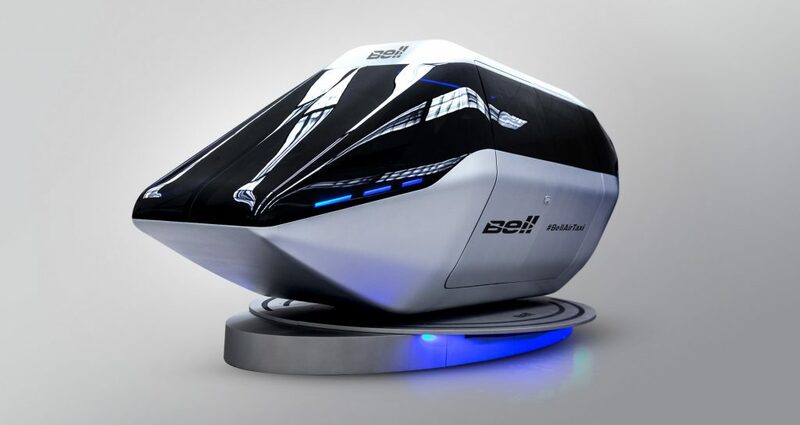 While no actual flying car was present at their booth (sad, I know), attendants were delighted to find a one-of-a-kind VR simulator that took them through the experience of air-based urban transit (which Bell believes to be in the cards by as soon as 2020). If you were patient enough to wait two hours on line, you would have gotten a chance to sit inside a prototype Air Taxi, pop on the VR headset, and get swept away as the simulator zipped around a digital city scape. Already in partnership talks with Uber Air, Bell could make hailing a helicopter a reality sooner than we think. Continuing their trend as an automotive pioneer, Nissan showed what could become the future of semi-autonomous driving with it's Brain-to-Vehicle technology. And yes, it's exactly what you think — you control the car with your mind! Okay, so it's not like you'll become Professor X or Doctor Strange, pressing your fingers to your temples and thinking yourself to your destination. Instead, the driver would wear an EEG headset that scans brainwaves and helps anticipate certain movements (breaking before your foot hits the pedal, turning before your hands move the wheel, etc.) And while the applications of this tech present an astounding breakthrough for automotive safety, there are still a few kinks to get worked out before B2V driving is available to the public. 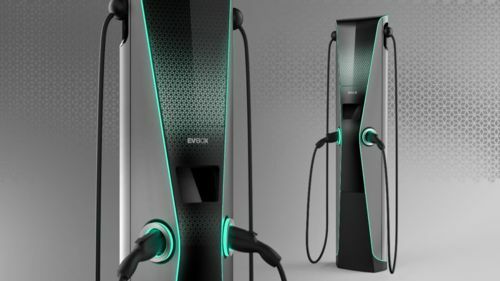 Designed specifically with the North American market in mind and unveiled for the first time at CES, this new charging station has all the durability and Smart Charging features you’ve come to expect from EVBox, plus a ton of exciting new features. For starters, the new Level 2 charger has loads of real-estate for custom branding, so you can show off your company’s eco-conscious identity. Secondly, not only does the station come with a top-of-the-line cable management system standard, but also boasts the potential to have up to four lines running from one unit. Last thing, I promise. The station is also equipped with an incredibly user-friendly touch screen that accepts payment by both NFC and RFID. Screens! Screens as far as the eye can see! After Hyundai and Chevy had so much success with their new EV models, Kia decided to take a crack at it with their stunning EV adaptation of the Niro — a crossover vehicle with 201 horsepower, 238 miles of range, and more design features than you could shake a stick at (which, we’re assuming is a lot. You’ve got those good stick-shaking arms). 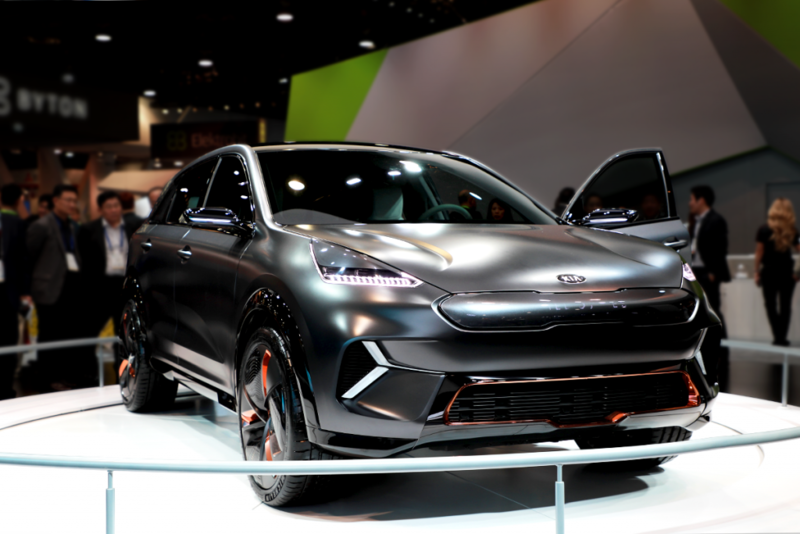 While not as screen-heavy as the Byton SUV, the Kia Niro EV certainly does make some big leaps into the future, both stylistically and technologically. One interesting feature they are working on is a type of noise cancelation that would allow passengers in the front to listen to something completely separate from those in the back seat. So now the kids can watch Doc McStuffins and you can catch up on your podcasts — totally tantrum free. 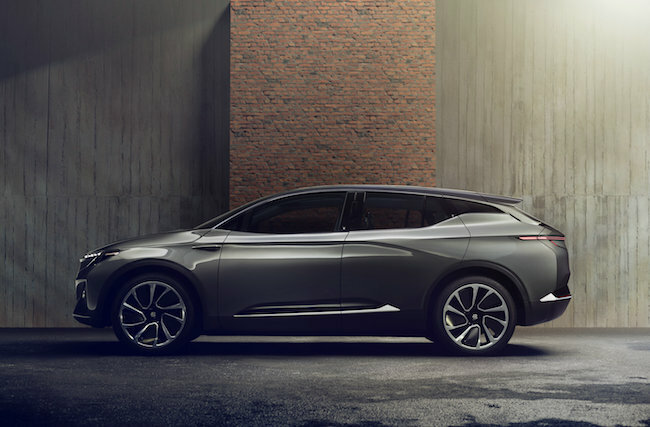 While these we’re our top five favorite electric mobility advancements from CES (or rather top four + ourselves), if we learned anything from this year’s CES, it’s that the future for sustainability is bright. Were you at CES? Interested in advancements in tech, transportation, or sustainability? Just want to say “hey”? Drop us a line in the comments, or reach out to us on Facebook, Twitter, or Instagram! We’d love to hear from you.